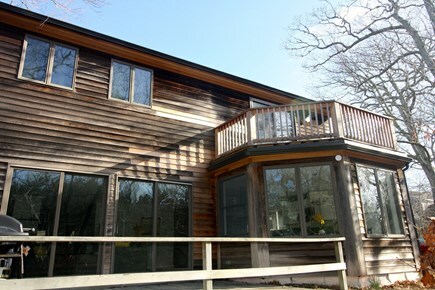 New to the Rental Market - Located in the much desired Lambert's Cove area of West Tisbury. 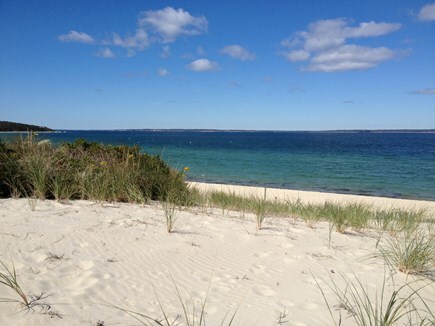 Walking distance (.6 mile) to Lambert's Cove Beach, and a short walk to Ice House Pond swimming area. Bring the extended family! 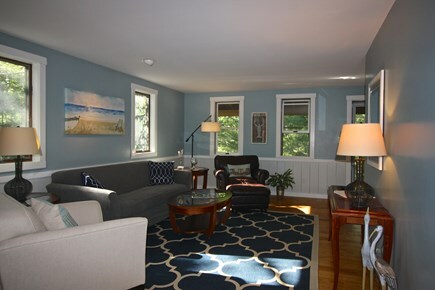 This beautifully renovated 4 bedroom 3 bath home comfortably sleeps 11 and is perfect for 2 families. 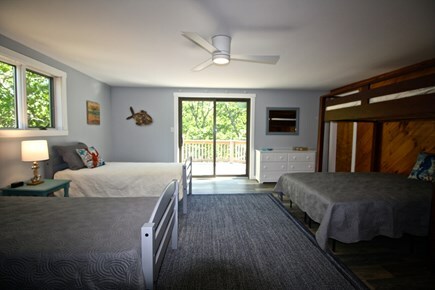 Three of the bedrooms are located on the second floor, and the fourth is a privately located second master bedroom on the first floor. 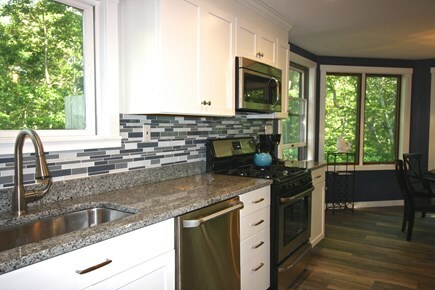 A brand new granite and stainless kitchen opens to the dining area and family room with a wall of windows overlooking the private wooded yard and deck. 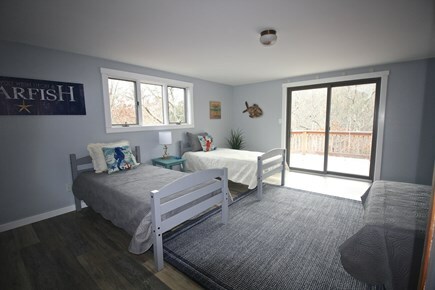 The 2nd family room is great for times when you want to separate the kids and adults! 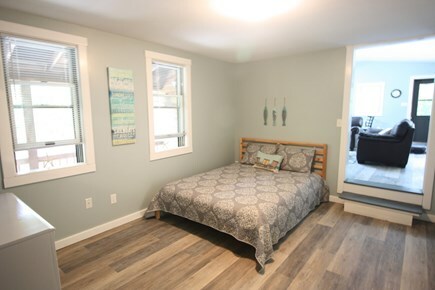 All new flooring, updated baths, an outdoor shower, washer/dryer, cable TV, Internet, and many more features make this a perfect spot to spend your vacation. Some ferry tickets available. Additional pricing info: Cleaning fee of $250, State and local taxes of 5.7% will apply. 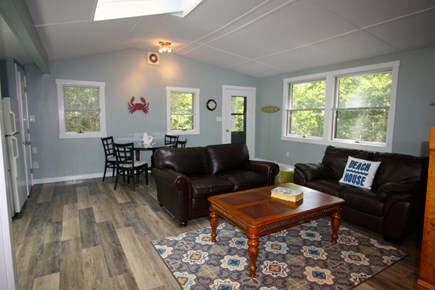 This house is located a short bike ride from both Lambert’s Cove (best beach on the island) & Ice House Pond (quiet freshwater swimming pond). With 3 bathrooms & 4 showers, it easily accommodated our 2 families & all 9 of us had hot showers after the beach. 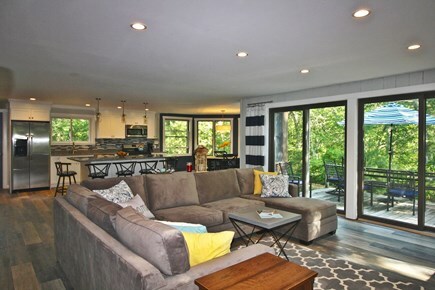 Multiple TVs/living rooms made for happy teenagers and parents alike. We had a wonderful stay at this property! It is beautifully decorated and equipped with all the essentials. 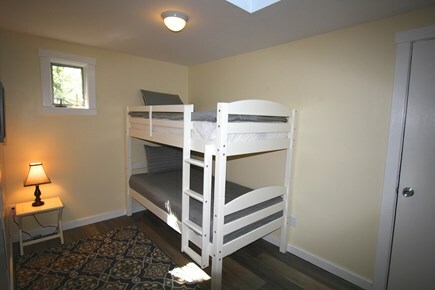 The layout is open and very comfortably accommodates a group of 11 people. The beach is gorgeous! The rental process went very smoothly thanks to Kara. Thanks for a great vacation! We've enjoyed our stay at this nice house 10 minutes walk from Lambert's Cove Beach. We loved the private setting. We'll come back next year! 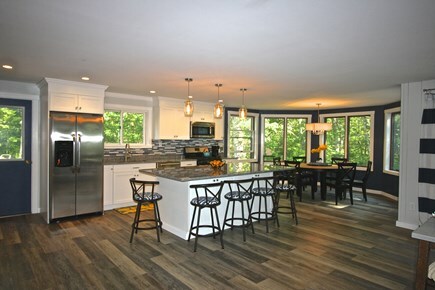 This home is newly renovated. 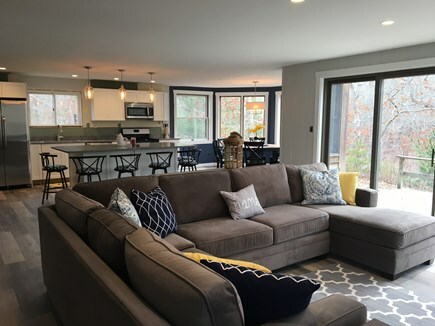 All new flooring, new kitchen, updated baths, outdoor shower and an open and airy living space that is perfect for one or two families. 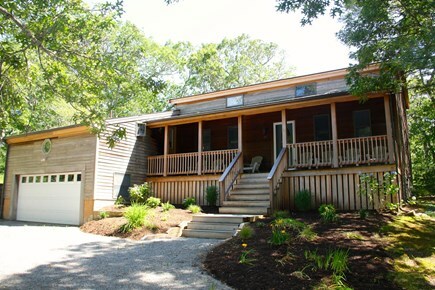 This home is located 4 miles from the Vineyard Haven Ferry terminal and only .6 Miles from Lambert's Cove Beach. 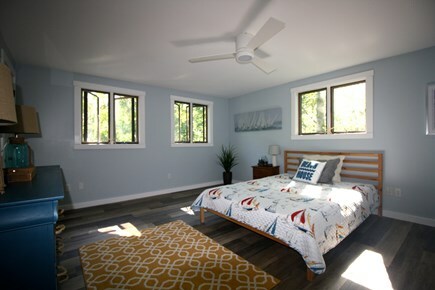 This Up Island location provides privacy - located on a wooded 1.4 Acre lot, yet a few minutes walk to one of the most beautiful beaches on the island!